"How many times can you subtract 7 from 83, and what is left afterwards? You can subtract it as many times as you want, and it leaves 76 every time." - f95 -module of large-scale nonsmooth test problems (includes also partially separable test functions). - MatLab -file for generating the random data. - Fortran subroutine that reads the data-file (generated by makeproblem.m) and computes the function and subgradient values. - ready-to-use data-files for convex problems. - ready-to-use data-files for nonconvex problems. N. Karmitsa, "Description of maximum of quadratics", 2009. 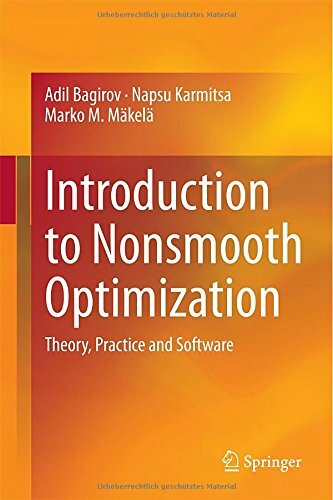 Nonsmooth test problems for unconstrained and linearly constrained optimization can be found from Prof. Ladislav Luksan's site.